Samsung wants your Galaxy Note 7 back. It seems things just got a whole lot easier for the upcoming iPhone 7 Plus. 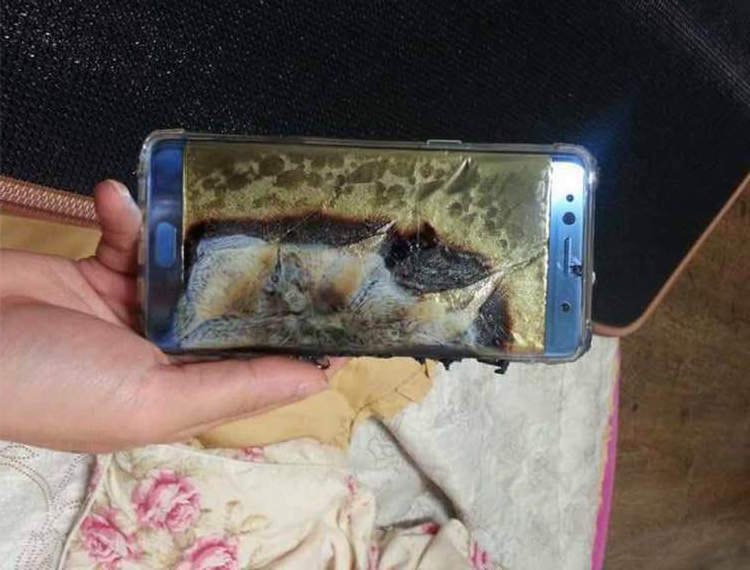 Its biggest rival, Samsung’s new Galaxy Note 7, has officially been recalled worldwide due to a worrying battery issue that has caused some handsets to explode. Until just a few days ago, the Galaxy Note 7’s launch couldn’t have been more successful. The device was greeted by a torrent of rave reviews from the tech press when it first went on sale, and demand has far exceeded supply in most markets. But things took a turn for the worse when it was discovered that some Galaxy Note 7 handsets were randomly exploding while on charge. Samsung has now confirmed that there is an issue affecting a small number of devices. The South Korean company says that just 24 in every 1 million units is at risk of exploding, but it is now recalling every single Galaxy Note 7 sold so far to ensure that no further damage can be done. The recall couldn’t have come at a more crucial time, with Apple scheduled to announce the iPhone 7 Plus — the Galaxy Note 7’s biggest rival for the next 12 months — at a keynote on Wednesday, September 7. This will surely leave a bad taste in the mouths of many Samsung fans who will now have to return their new smartphone and wait for a new one, and it’s likely at least some of them will look elsewhere just as the iPhone 7 series is landing.